As some of you may have heard already, tomorrow I will be parting ways with the Housing Alliance and heading off in search of new adventures. This was a decision that I made several months ago, and I have to say that it has was a very hard decision to make. My experience over the last four years here has been an incredible and transformative journey, and it's hard to imagine giving that up. But I keep reminding myself that I'm not really leaving the Housing Alliance. Sure, starting on Friday I won't be an employee of the Housing Alliance. But the Housing Alliance isn't just an organization and its employees. The Housing Alliance exists to serve as a vanguard and a steward to the movement organized around ensuring that everyone in Washington has the opportunity to live in a safe, healthy, affordable home that is part of a thriving community. We're all part of the Housing Alliance, because we all own this movement together. And I can't say enough about what a relief that is to me, because I would never want to say goodbye to the community that I've had the incredible good fortune to join through this work. You all are some of the most incredible people I've ever met, and the depth of the heart, courage, kindness, passion, dedication, and expertise that I've witnessed in this movement is staggering. P.s. If you ever need to get ahold of me, you can always find me at twitter.com/Ben_Miksch. Tomorrow I will be saying goodbye to the Washington Low Income Housing Alliance and the lovely state of Washington. I have learned more than I could have imagined in my year as a part of the United Church of Christ's Justice Leadership Program, and so many of my new skills and understandings come from the amazing folks I have met through my work at the Housing Alliance. A year ago, I'm not sure I could tell you what a state senator or representative (or a governor for that matter) does. I didn't know how to talk to a law maker about issues that matter to me. 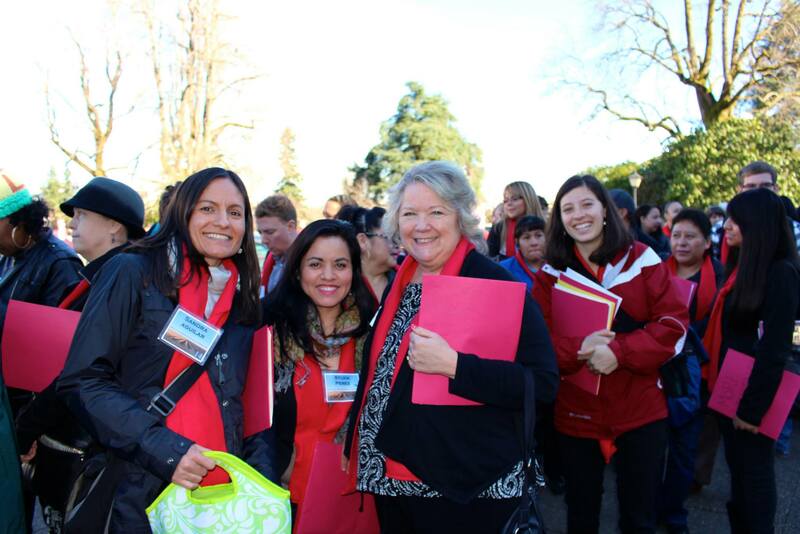 I had no idea what it would be like to plan (or even attend) an advocacy day or statewide conference. I would vote whenever it was convenient, but I didn't realize how greatly the issues on the ballot affect my community and the issues I care so much about. Fastfoward to now, I am actively engaging in what is going on at the capitol, I am making phone calls and sending emails to people I know and total strangers to tell them about what is happening in the world of advocacy and policy, and so much more that old Honah would be too afraid to try. Now that my internship year is over, I will be moving back to California to attend graduate school at U.C. Berkeley for a masters in social work with a medical concentration. But I couldn't just leave quietly. I had to go out with a Housing Alliance Karaoke session inspired farewell (set to R. Kelly's Ignition (Remix)). When I first joined the Washington Low Income Housing Alliance, I had received various warnings from friends. Working for a legislative advocacy organization would make me an official Olympia insider. And seeing front row how laws really are made and passed would…basically kill my soul. I received warnings of horse-trading and backroom deals…politics! Three years later, I’m thrilled to say that my friends were wrong. My experience at the Housing Alliance hasn’t jaded me. In fact, I continue to be inspired. And much of that inspiration comes from you the advocates. You are the foundation of the Housing Alliance. 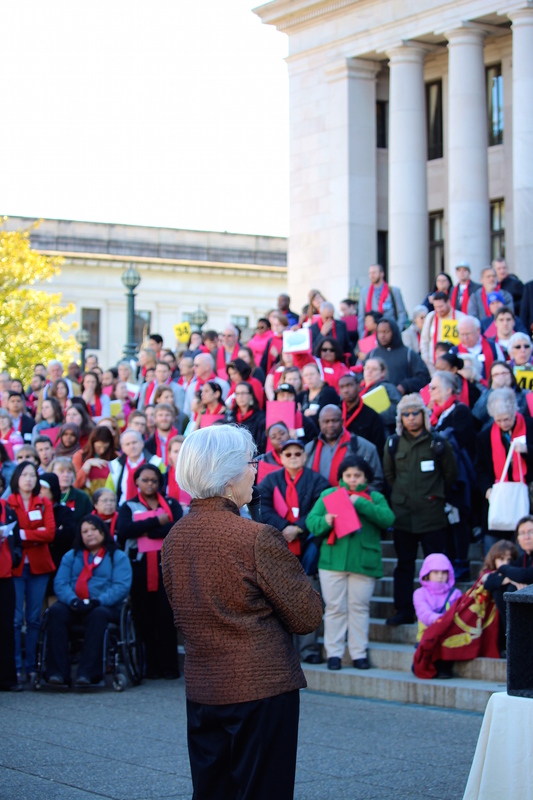 Every year, an astounding mass of people send emails to their elected officials, converge on Olympia for Housing and Homelessness Advocacy Day, gather at the Conference on Ending Homelessness, retweet and repost Housing Alliance social media posts, send us awesome notes about a legislator meeting, and so much more. And what’s even more amazing? The advocacy numbers keep growing. The movement to ensure all Washington residents have an opportunity to live in safe, healthy, affordable homes in thriving communities increases every year. I could give you numbers and datasets about the advocacy network’s growth. But what I’ll treasure most from my time here at the alliance is meeting you face-to-face and exchanging stories. 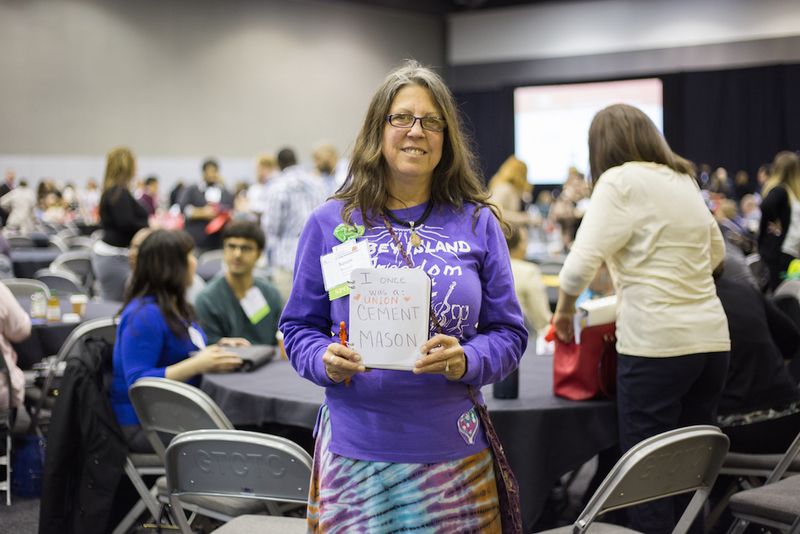 Lisa, who is an Emerging Advocates Program graduate and Real Change vendor went from advocacy newbie to creating a web page to help folks share their own personal stories of homelessness. Jamie runs a youth program. While, she advocates for affordable housing in the Asian/Pacific Islander community, she was also moved to share her own story at Advocacy Day. Almost in tears, she broke down how repeat tenant screening fees prevented her from accessing a home in increasingly unaffordable Seattle. Andrea recently arrived to Washington State to start a new life with her family, after losing nearly everything to a hurricane. Despite an unsteady few months, they found a home and Andrea recorded her family’s story to use for advocacy. She also became a social media advocacy powerhouse. During the gloomy days of session, when it seemed like all housing and homelessness legislative hope had passed, it’s these stories that kept me going. That’s also why I made sure that as much as possible our communications to you was exciting and creative. You deserve emails that aren’t boring, that break down the wonk and make the enigma that can be the legislature easy to decipher and think about. Whether, it’s a thank you that includes animation of an excited jumping dog or a clapping rabbit, I wanted to make the world of housing and homelessness policy accessible. I wanted you to look forward to reading (or skimming) our emails. And based on our open rates, I think we’ve succeeded. That’s why it is with a heavy heart, that I depart from my position at the Housing Alliance. An awesome opportunity has presented itself at the City of Seattle, and I would be foolish to pass on it. Besides, I believe someone else, someone new, should experience the joy and wonder of this unique perch at the alliance. A new face should join this small and impactful team. My coworkers are a lot like you, driven, passionate troublemakers dedicated to fighting evil, whether through securing a sizable investment in the Housing Trust Fund or educating legislators about laws that will protect tenants. 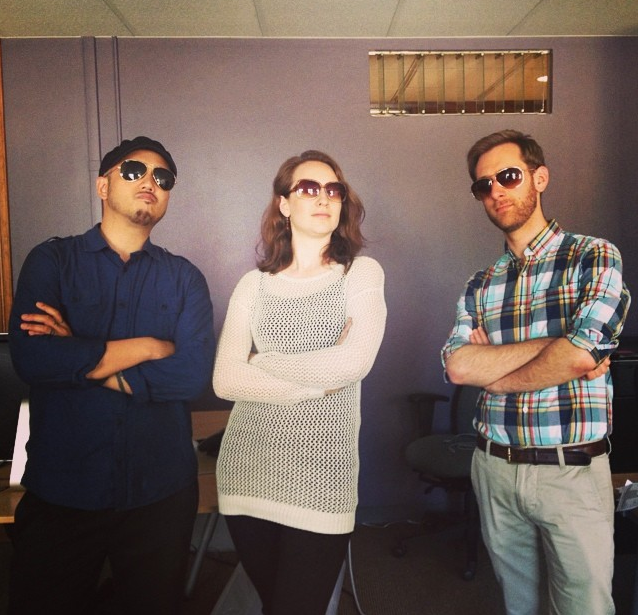 I’m going to really miss the Housing Alliance team. But as you might already know, I’m quite active online. This isn’t good-bye. It’s I’ll see you around. Keep in touch. You can always find me here: twitter.com/joaquinuy. It’s been an honor and a pleasure working with you as a Housing Alliance staff member. And it will continue being an honor and a pleasure standing shoulder to shoulder with you as a fellow housing and homelessness advocate. P.S. Know anyone who'd be a great fit for my position? Send them the Communications Specialist job position. Thanks! P.P.S How awesome is it to leave on such a high note?! Historic gains for affordable housing this legislative session! This past Wednesday night was more than a good night. It was an astonishing testament that advocacy works. Since January, over a thousand of you took action again and again. You told lawmakers to not leave town until they had done everything possible to expand access to affordable housing and to end homelessness. They heard your message! In the dramatic hours before the end of the state’s fiscal year, Washington lawmakers secured significant new state dollars for affordable homes. And they passed several bills that will create new funding sources for housing, services, and mental health facilities. Further, the final state operating budget, signed into law at 11:30 Tuesday night, includes full funding for the Housing & Essential Needs (HEN) and the Aged Blind & Disabled (ABD) programs. And it funds many other important priorities, including a nine percent increase in the TANF (Temporary Assistance for Needy Families) cash grant! $75 Million for Affordable Homes! But wait, there’s more! Lawmakers also passed a capital budget that provides $75 million for affordable housing and $15 million for weatherization of homes owned by low-income homeowners. The $75 million for the Housing Trust Fund will create nearly 2,000 homes for seniors, homeless families, people with developmental disabilities and mental illness, veterans, homeless youth, and more. It will also create 500 new safe, healthy beds for farmworkers. If you are not already jumping up and down, consider that lawmakers also passed HB 2263 late Wednesday night. This bill provides local communities the option of asking their voters to support a new tax for affordable housing and mental health facilities. Those funds could also be used for operations and maintenance needs as well as homeless services. A similar local taxing authority for mental health services brought in nearly $100 million across the state in 2014 alone. Check out this video of nonprofit board members from around the state testifying for HB 2263! And that’s not all! Lawmakers also passed SB 5987. This transportation package includes significant new dollars for affordable housing and services in the Puget Sound region. The bill requires that at least $20 million be provided for affordable housing near transit. It also establishes that 80% of the surplus properties in light rail stations must be made available for affordable housing. Additionally, an amendment by Representative Jessyn Farrell (46th LD, Seattle) creates a funding source for the Puget Sound region of up to $518 million for services to improve educational outcomes in early learning, K-12, and higher education. This includes, but is not limited to low-income, homeless, or foster care youth. These new dollars for the Puget Sound region are on top of the victory earlier in the session via Representative Larry Springer’s (45th LD, Kirkland) HB 1223. This bill secured at least $45 million for new affordable housing in transit areas. A Big Win for Permanent Supportive Housing! 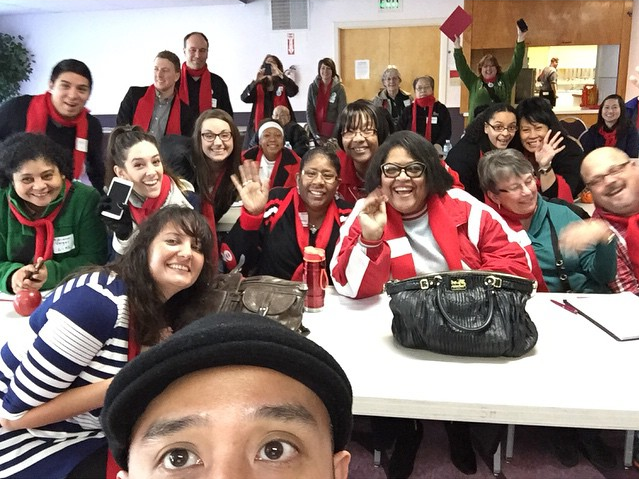 Whether you attended Housing and Homelessness Advocacy Day earlier this year, or met with your legislator or their staff in-person, or sent an advocacy email supporting our legislative agenda, you helped make this session historic! In addition to all the great legislative news, the Housing Alliance recently received this info: the state’s Health Care Authority is submitting a federal waiver request to the feds that includes the ability for our state to use Medicaid funds to pay for the medically necessary services delivered in permanent supportive housing. This was a top legislative priority for the Housing Alliance this year! Even more, the federal government issued a bulletin late last week confirming that Medicaid dollars can be used for these services. All of this great news means new resources are coming to our communities to create affordable homes and fight homelessness. And it couldn’t be at a more important time. You told your lawmakers to do more and they listened. There is more to do, and we hope that you will continue to join us as we work to build on these victories in the 2016 legislative session. Stay tuned. We’ll have an opportunity for you to thank lawmaker champions and please plan now for in-district advocacy opportunities this summer and fall. Consider inviting your lawmakers to your board meeting or to tour affordable homes built with state dollars. The Housing Alliance can assist you in your advocacy efforts, including with getting your board involved with advocacy! It works, let’s keep it going! Read more about Historic gains for affordable housing this legislative session! More great housing & homelessness news from the capitol! The capital budget was just released, and it includes $75 million for the Housing Trust Fund! This is an amazing victory in a year with so much pressure on the capital budget! The House just passed the budget on a 96-2 vote, and the Senate still has to pass the budget. But the bill released includes amounts both sides had previously agreed to, which means that amendments are very unlikely. A dditionally, Weatherization Assistance for low-income homeowners was allocated $15 million. Weatherization improvements of owner-occupied homes save homeowners money and keep homes warm in the winter and cool in the summer. Weatherization assistance is especially important in rural communities and has environmental benefits of less energy consumption. The capital budget also directs the Department of Commerce to use $2.5 million in existing funds to create a pilot for ultra-energy efficient affordable housing. Overall, this is very great news! Almost 2,000 households in need across the state will have safe, healthy, affordable homes because of this allocation, and farmworkers will have safe, affordable seasonal housing. There are plenty of thanks to be made. Stay tuned for the mighty list of lawmakers who championed these allocations. You can check out the full budget language here. Section 1032 contains the HTF allocation. Read more about A Final Capital Budget! The House and Senate have agreed on an operating budget. As of the time of this post, it is currently awaiting the Governor’s signature. The budget bill, which goes into effect tomorrow July 1, funds affordable housing and homelessness services. The final capital budget is still not released and funds capital construction programs including the Housing Trust Fund. We expect it to be released later today. The operating budget reflects significant wins that are only achievable from strategic and relentless advocacy from you and strong lawmaker champions. Most significantly, the final budget fully funds the Housing & Essential Needs program (rent assistance for very low-income temporarily disabled adults), fully funds the Aged, Blind & Disabled program (cash assistance for very low-income permanently disabled adults), and includes a nine percent cash grant increase for TANF (Temporary Assistance to Needy Families). This is a partial restoration of a larger TANF cut made several years ago. Below are preliminary budget details. More to come as new operating budget developments and details unfold. Housing & Essential Needs (HEN) program is fully funded. Aged, Blind & Disabled (ABD) program is fully funded. HEN/ABD incapacity exams were cut by $2.2 million due to current underspend projections. SSI Facilitation Services is fully funded. Medical Care Services is fully funded. A nine percent ($31 million) TANF cash grant increase. The budget earmarks $5,000,000 of the home security account solely for the Department of Commerce to provide emergency assistance to homeless families in the TANF program. TANF Participation Incentive was a program that was ultimately never implemented. The budget eliminates funding for an additional $55 incentive payment to TANF parents who participate in mandatory WorkFirst activities at least 20 hours per week and meet the requirements of their Individual Responsibility Plans (IRP). Payments were scheduled to begin in the last quarter of fiscal year 2015. However technology changes have not occurred to enable the payment during fiscal year 2015. The incentive payment was to be provided in addition to the regular monthly cash assistance. The budget reduces funding for Workfirst job activities to reflect projected under-expenditures. The budget creates a “Deed of Trust Act Workgroup”, funded at $20,000 by the Foreclosure Fairness Account. One-time funding is provided to the Department of Commerce to convene a workgroup of interested stakeholders to review the state's Deed of Trust Act contained in Title 61 RCW. The workgroup is tasked to review and make recommendations to ensure that the Act remains a workable system for financial institutions, loan servicing companies, trustee, and borrowers. A report on the review and recommendations is due the Governor and Legislature by December 1, 2015. Washington Youth and Families Fund is funded at $3 million. One million of that is funded from an Affordable Housing for All Account and the rest is funded from a Washington Housing Trust Account. A “Regional Day and Hygiene Center” is funded at $100,000. The budget provides funding to plan and develop a regional approach in southwest King County to provide day and hygiene shelter services to homeless populations. Services would include laundry, showers, restrooms, and resource referrals, but would not include overnight operations. The plan will identify appropriate partners and a service model to meet regional needs; evaluate the establishment of a facility or facilities to provide day and hygiene services; and work with existing providers to expand services to provide day and hygiene shelter services. Washington Telephone Assistance Program (WATAP) and Community Voicemail funding is eliminated. More about WATAP here. More about Community Voicemail here. The budget provides funding for youth who qualify for Extended Foster Care due to being employed for 80 hours or more per month, as authorized under Chapter 122, Laws of 2014 (EHB 2335). The budget funds the Office of Youth Homelessness at $14.431 million. Additionally, crisis residential centers, hope beds, and street youth services provided to runaway and at-risk youth are transferred from the Department of Social and Health Services (DSHS) to the newly created Office of Homeless Prevention and Protection Programs within the Department of Commerce. Homeless Student Stability Act - SB 5065 (Frockt)/HB 1682 (Fey) is not funded. Homeless Management Information System (HMIS) - the HMIS proviso was not included in the budget. More about HMIS here. Stay tuned. We'll have more information about the capital budget as we hear about news from Olympia. Read more about A Final Operating Budget! New Housing Alliance team member! My name is Rhean (which rhymes with Ian) Souders, and I started this week at the Housing Alliance as the Operations and Finance Administrator. In this role I’ll be taking care of the internal needs of the office, from assisting both the Executive Director and Director of Policy and Advocacy to working on the budget and day-to-day finances, office management, and staffing processes. My experience in these areas comes from over 10 years of work at The Seattle Times in a variety of administrative roles, and I’m excited for the chance to adapt those skills to the nonprofit world and the Housing Alliance in particular. Prior to my work at The Times I spent over four years serving and working with AmeriCorps*VISTA and other national service programs in Washington and across the country, and I’m thrilled to be working again toward resolving the problems of poverty. In VISTA I saw first-hand the effects of unstable living situations, especially on children, and I believe that working toward long-term solutions to basic needs like housing is absolutely essential to building a functional, sustainable, and just society. I look forward to participating in the Housing Alliance’s work in education and policy change to bring about those long-term solutions. In Washington I’ve been both a “dry-sider” and a “wet-sider,” and I love spending time all over this incredibly diverse state. From the golden fields of the Palouse to the drizzly streets of Seattle, I feel right at home, and I’m glad to help make this a better place to live. Read more about New Housing Alliance team member! 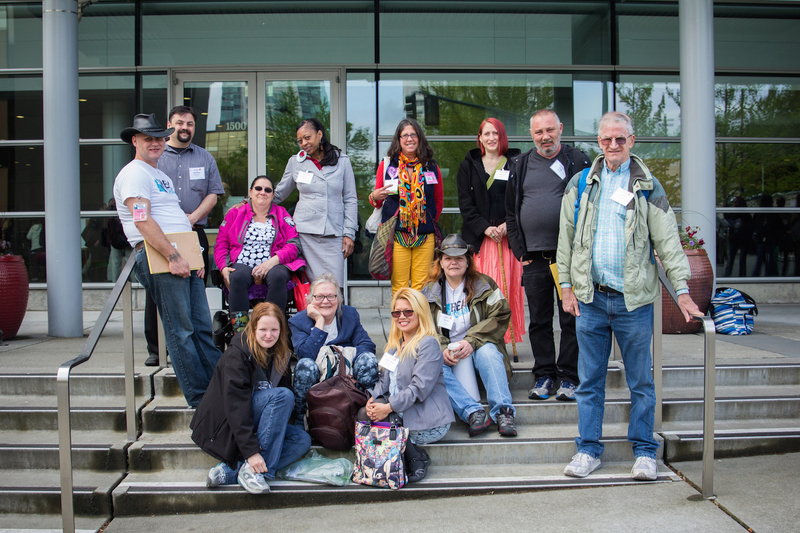 Advocates from all over the state converged in Olympia on Monday, June 8 at 11am for a public hearing on newly introduced House Bill 2263. This bill will give local governments more options to address housing needs for people with mental illness, developmental disabilities, homeless families and youth, veterans, seniors, and domestic violence survivors. As the state’s affordable housing and mental health crises have gotten worse, community leaders have been calling on legislators to respond. House members have come together to introduce HB 2263 that empowers local governments to create new resources for housing and mental health services in their communities. main hallway in the John L. O'Brien Building. HB 2263 (Springer) expands on SB 5463 (Hill) by adding a component to allow counties and cities to address local affordable housing and mental health needs. Like the Senate bill, it also provides a “cultural access” component. HB 2263 creates an option for local communities to implement a new 1/10 of 1% sales tax to fund affordable housing, mental health treatment facilities, and services. If passed, counties are then empowered to enact this local option that would create a new funding source to serve vulnerable populations. Local implementation requires a county legislative body vote and allows for cities to implement if the county does not pass the option within two to three years depending on the size of the county. Hearing Room B was one of two full hearing chambers that served as overflow rooms for the HB 2263 hearing. This local option has a precedent. It is similar to the Mental Illness and Drug Dependency tax (MIDD) implemented in 2005 (RCW 82.14.460). MIDD generated $96.6 million statewide in 2014 and has been enacted by 23 local jurisdictions including Walla Walla, Whatcom, King, and Skagit counties. This bill comes at a time when our communities need more resources. According to the National Low Income Housing Coalition, Washington is too expensive for our average income renters. The amount a household needs to earn to afford a modest rental home in this state has jumped by 10% or more from last year in Franklin, Benton, Pacific, Clallam (11%), San Juan (14%), Snohomish (26%), and King (26%) Counties. Thought leaders across Washington recognize the strong link between the lack of affordable homes and other critical issues facing our communities, including chronic homelessness, health disparities that burden low-income households, and gaps in educational attainment that follow students who experience homelessness and housing insecurity. Many calling for the immediate passage of HB 2263 testified on Monday, with many other advocates in attendance to support. The people coming for the HB 2263 hearing filled three rooms, demonstrating the widespread support and need for a new source of funding for mental health programs and affordable housing. You can still voice your support for HB 2263! Go here for instructions on calling the legislative hotline and advocating. A packed hearing room watching Housing Alliance ED Rachael Myers speak in support of HB 2263. Access to safe, affordable housing is a serious issue in our state. I am happy to see a proposal that allows communities to invest in providing homes for the most vulnerable people in our neighborhoods—youth, families, veterans, the elderly, and disabled. This is an important first step to ensuring that everyone has a safe place to call home. The amount and availability of affordable housing for people with developmental disabilities is woefully inadequate, and the amount spent is far short of what's needed. This comes at a time when the needs for housing for individuals with developmental disabilities are at an all-time high. This bill would provide local communities with a much-needed tool for addressing the shortage. Housing is one of the most effective treatments available in medicine. Unfortunately, doctors cannot write a prescription for housing. This legislation will create the opportunity for counties to fund housing for the vulnerable homeless patients that need a housing prescription filled. Generating proactive and creative options to fund mental health and homelessness services is an imperative for our state at this time. A local sales tax option will help to address the urgent need for more programs and services for our fellow neighbors who are very low-income and very vulnerable. Washington has made significant investment in early learning and is poised to deepen its commitment. I wholeheartedly support that wise investment. That said, there are no issues that undermine my staff’s good work with young children more than homelessness, frequent household moves to cope with housing affordability, and family mental health issues. Children are simply hard-pressed to learn and develop in a healthy fashion under the oppressive weight of homelessness and family mental illness. HB 2263 will provide the tools for communities to address these potent barriers to healthy child development and learning. It seems a wise insurance policy for our state as it deepens its resolve to see all children off to a good start. The first legislative special session ended yesterday without a resolution on the operating budget. The Governor held a press conference that same evening and immediately issued an order to lawmakers to come back for another 30-day special session. While lawmakers technically have the next 30 days to finish their business, pressure is mounting for them to finish as quickly as possible. You can still advocate during the special session! The legislature has until July 1 to come up with a budget that helps restore the state social safety net and adequately funds affordable housing. Compromise takes a long time. And we believe legislators will be able to come up with a budget that'll satisfy both chambers. Until then, it is still extremely important that lawmakers know you are still paying attention and still holding them accountable to passing a budget that contains new revenue sources. A little earlier this month, the State Economic and Revenue Forecast Council announced that revenues are coming in stronger than projected for the current budget (+$106 M) and for the next budget (+$309 M). This means that revenue and economic trends are moving in the right direction, but there unfortunately still isn’t enough revenue to meet progressive budget goals. We can’t fund current obligations while both meeting the Washington State Supreme Court mandate to increase state funding for basic education and at the same time making progress towards restoring the over $12 billion in cuts made to the state budget since the Great Recession. Yesterday, Senate Majority Leadership released a new operating budget. While they provided a briefing of a new budget during a Senate Ways and Means meeting, they retreated from the standard democratic practice of allowing a public hearing. The bill moved from the committee on a party line vote, but it wasn’t voted on the Senate Floor before the session adjourned. You can read a broad overview of the budget and the near-term impacts of not enacting new revenue here. Senate leadership remains resistant to enacting new and fair taxes that will get our state onto a sustainable budget path and out of the short-term budget-cutting patches that lawmakers have relied on for many budget cycles. While we are thankful our affordable housing and homelessness movement has successfully organized to protect safety net services like the Housing & Essential Needs and Aged, Blind & Disabled programs (respectively rental assistance and basic cash assistance for disabled adults), much more needs to be done to ensure our state has the resources needed to fund basic services that prevent and end homelessness over the next budget cycle. We urge state lawmakers to keep pushing for a final budget resolution that meets the needs of the most vulnerable and to enact fair revenue solutions like a capital gains tax. Click here to send your lawmakers a message today to remind them they should prioritize affordable housing and homelessness during the ongoing budget negotiations. Learn more about a capital gains tax from the Washington State Budget & Policy Center. The status of the capital budget, which is the source of funding for the Housing Trust Fund, remains in limbo as well. The state must pass an operating budget, but they don’t technically have an obligation to pass their other two budgets (the capital budget and the transportation budget). The House capital budget included $80 million in new funding for the Housing Trust Fund, while the Senate’s proposed budget included $65 million. We urge lawmakers to accept the House Capital Budget, which passed during the regular session with overwhelming bipartisan support, 96-2. Take action today to urge lawmakers to pass a capital budget that includes at least $80 million for the Housing Trust Fund. The Housing Alliance will keep you updated with significant developments during the second special session. Lawmakers have to finalize the budget before July 1, which is the first day of the next budget cycle. We expect that lawmakers will finish in time to avoid a government shutdown. While the final budget outcomes are yet to be determined, it is clear that advocacy created the political pressure and deep education needed to elevate affordable housing and homelessness as central issues this year. We urge you to keep up the advocacy both during the second special session and into the interim. The Housing Alliance has tools and resources to support your advocacy, and we want to partner with you. Let us know if you are interested in hosting meetings with your lawmakers during the coming months–together we will keep moving forward. If you need a refresher, here's the current status of our bill and budget priorities during these past couple of sessions. 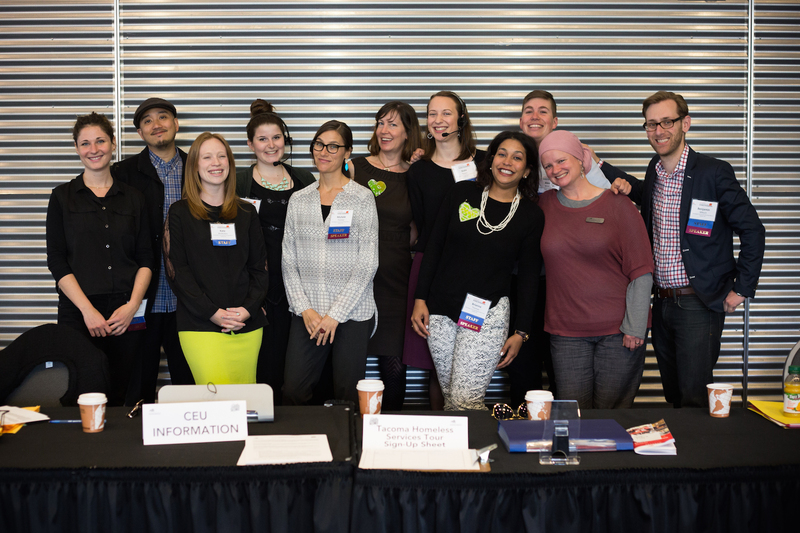 The recent 25th Annual Conference on Ending Homelessness saw the first-ever EAP at the Conference on Ending Homelessness or “EAP@COEH”, a collaboration with the Housing Alliance’s Emerging Advocates Program. A large part of advocacy lies in telling stories and why they matter. That’s why the alliance also believes that the most appropriate people to explain why affordable homes and ending homelessness are so important are people who have experienced homelessness themselves. The Emerging Advocates Program (EAP) began in 2013 as a summer/fall workshop series devoted to equipping people who have lived these stories with the necessary tools to engage in the advocacy process. The goal of EAP is for participants to gain skills and experience that will prepare them for advocacy leadership and for working toward positive policy change. EAP@COEH included three EAP-specific workshop sessions. Participants were also required to attend five workshops of their choice from among nine recommended ones designated for the EAP@COEH program. An introductory session explaining the Emerging Advocates Program, the Housing Alliance, and exploring the concept of advocacy and issues surrounding homelessness/affordable housing. A workshop regarding storytelling in an advocacy context in which participants utilized a personal anecdote in a letter on affordable housing funding to state senators. EAP 2013 graduate and artist/advocate Shelby Powell facilitated an evening Art Advocacy Studio, where participants could utilize their creativity to create artwork focused on advocacy messaging. EAP 2013 graduate Kirk McClain facilitated the "Peer Support Breakfast", a gathering for anyone at the conference who identifies as having been homeless, including but not exclusive to the EAP participants. Overall, EAP@COEH participants and organizers believe the program was a success to be repeated for next year’s Conference on Ending Homelessness in Spokane. 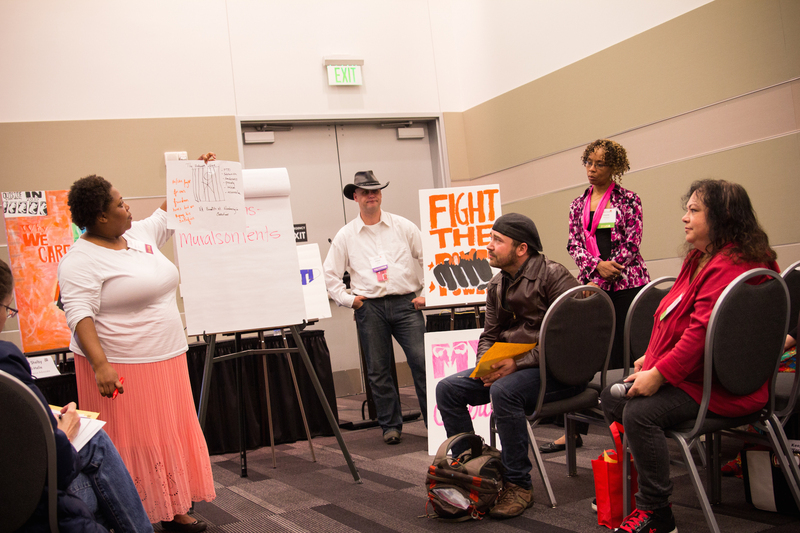 “Based on feedback from attendees, it was a huge win to have a space at the conference for folks with direct experience to come to the table and broaden the conversations to work for positive policy change and long-lasting shifts that end homelessness in our state, “ says EAP staff facilitator Andrea Marcos. 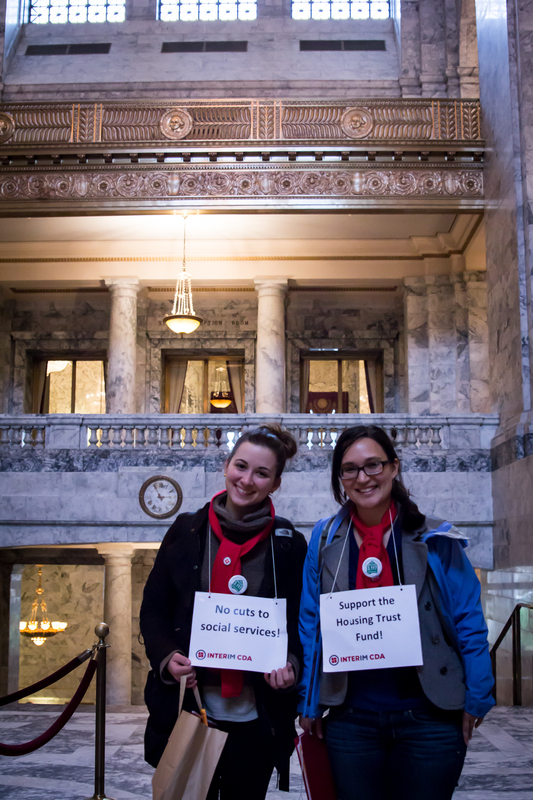 EAP and the Housing Alliance will continue to promote advocacy across Washington state to ensure that all residents can thrive in safe, healthy, and affordable homes. Photos: Top-right: EAP attendees in the workshop Keep Your HeART: Art & Advocacy learn about incorporating art into advocacy and vice versa. Bottom: Some of the EAP@COEH attendees at the 25th Annual Conference on Ending Homelessness.